Most CPA’s are historians. Working from a maintenance perspective, they emphasize keeping records and filling out tax forms. Their usual manner is conservative, just hoping to keep their clients out of trouble. Steve Richardson & Company is different. While we do many of the things other firms do, we do it from the perspective of the future. We emphasize planning and foresight, using the data of your past and present transactions, considered within the context of changing tax laws and current events, we help you chart a course for the future. We don’t merely focus on what you have done, but rather on what you can do. Your financial potential. Your future. In our tax business, for example, we are not content to merely fill out tax forms. We believe in aggressive planning and forecasting to make sure you pay the least tax legally possible, both now and future years. We are interested in the long term, and make it our business to keep up with changing tax trends so we can represent your best interests. We recommend annual tax planning sessions before tax time. We are also concerned about financial planning. We understand that most people don’t adequately plan for retirement and other significant financial needs, and encourage our clients to have a regular plan of saving. We work with financial planners to help our clients design savings and investment portfolios with their best interests in mind, both for the immediate and long-term future. Steve Richardson & Company is staffed with problem-solvers. We specialize in finding real and lasting solutions. We tenaciously pursue seemingly hopeless tax problems mired in red tape from within the deepest reaches of IRS bureaucracy, often with success! We have experience in filing taxes for missionaries overseas as well as specializing in ministry finance. We just don’t let go until the problem is solved. At other times we find practical solutions to computer software problems. We apply state-of-the-art technology to all our work in the office. Most important of all, we make a conscious effort to be accessible to you. At Steve Richardson & Company you are more than a client -- you are a person and trusted friend. Because of that, we make every effort to be here when you need us to solve problems, answer questions, and provide quality service. 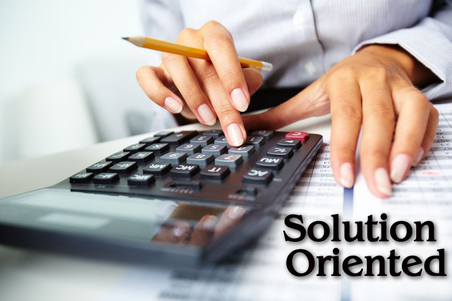 When you need a Tuscaloosa CPA, Income Tax Preparation, or an Accounting firm, call us. We are located downtown just a block from the Tuscaloosa County Courthouse but our client base extends worldwide. Let us serve you and we'll be the best business partner you could ever have. For some important jobs in life you really don't want to hire the "B Team." Suppose you need someone to work on the foundation of your home, do you call the B Team? No, you want a company with a proven track record and one that's been around the block a few times. You want the A Team. Steve Richardson and Company is the A Team. Our years of creating satisfied clients prove that. We put YOU first. 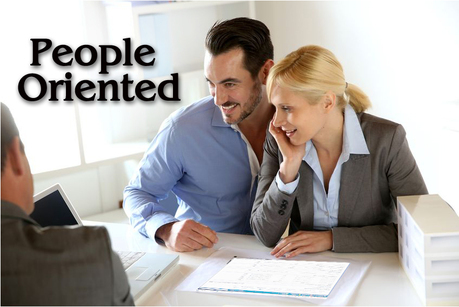 We analyze your situation and work to provide the best possible outcome for you, your family, and your business.